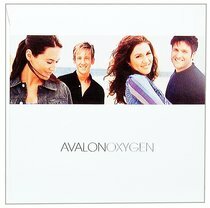 Four studio recordings, two gold records and twelve Number One radio hits have shown us that Avalon are one of the premier Christian acts in the world today. After all this success, it is refreshing that their new album, OXYGEN, focuses purely on God. They remind us that God's love alone breathes life into and sustains all of Creation. He is our Oxygen. Beautiful ballads and captivating pop anthems - one of the best albums of the year so far.